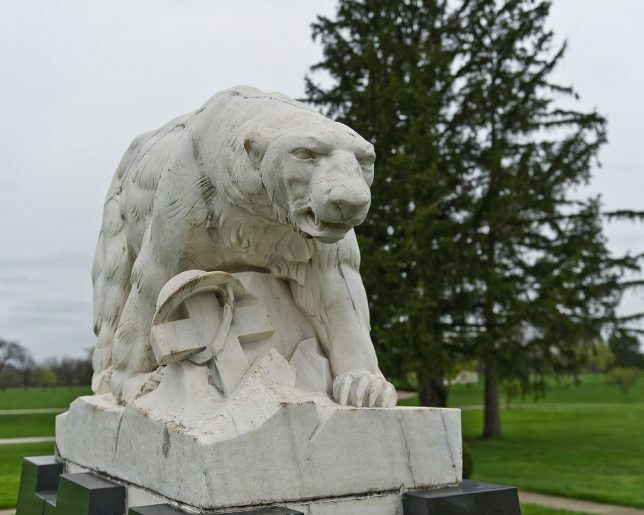 These extraordinary war monuments stand out from the crowd in commemorating those who have fallen while performing their duty in the service of their country. Memorial Day was formerly known as “Decoration Day” and was traditionally celebrated on May 30th – a date upon which no major battles had been fought. 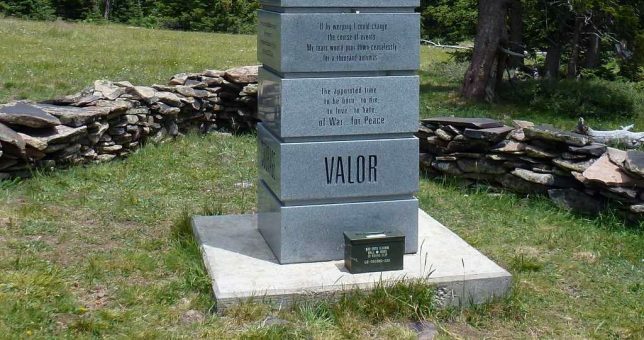 Memorial Day differs from Veterans Day in that the latter honors veterans of war. We lead off with a unique war memorial designed to fulfill its mission, as it were, on only one day every year: November 11th, at 11:11am, no less. 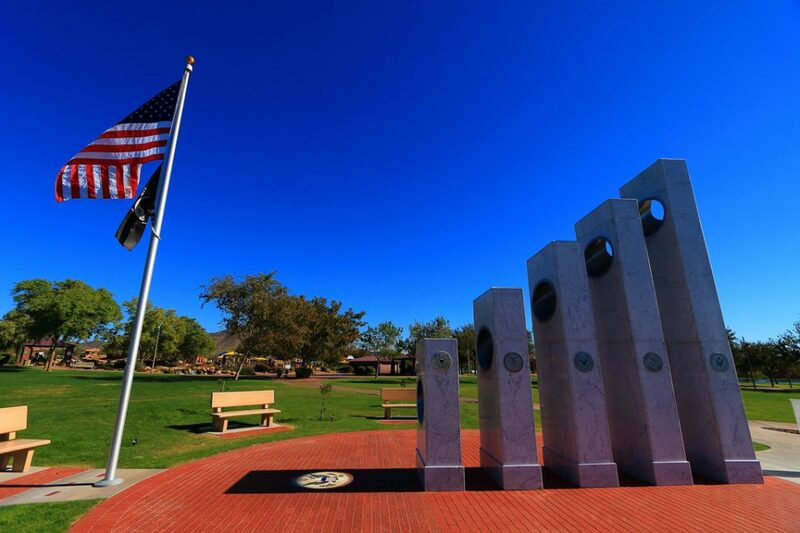 The Anthem Veterans Memorial in suburban Phoenix, Arizona, was dedicated in 2012. 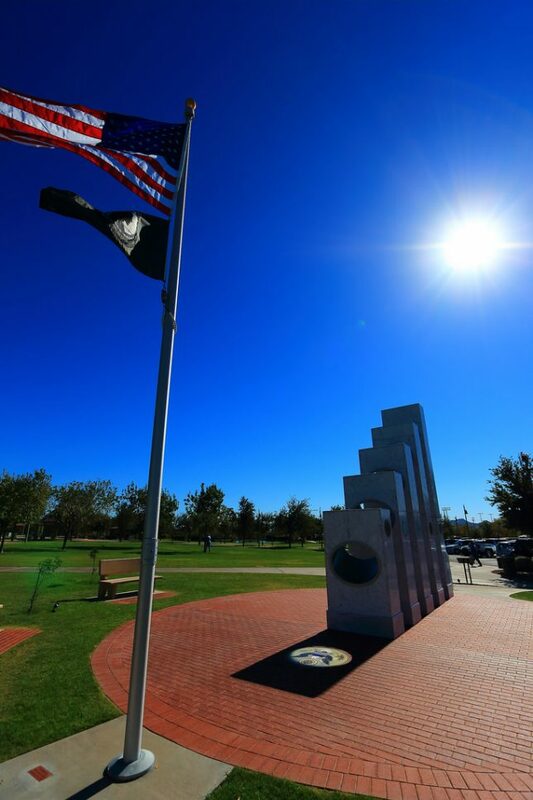 The monument’s white stones, red bricks and blue sky reflect the colors of the American flag. 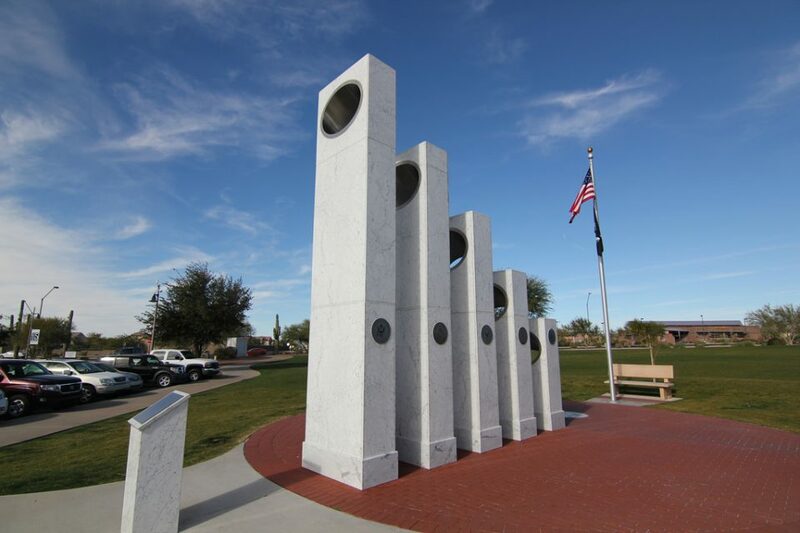 The Anthem Veterans Memorial consists of five staggered stone pillars signifying the five branches of the United States military. Designer Renee Palmer-Jones precisely aligned the pillars so that at 11:11am on November 11th, the sun’s rays pass through elliptical cutouts in the five pillars. 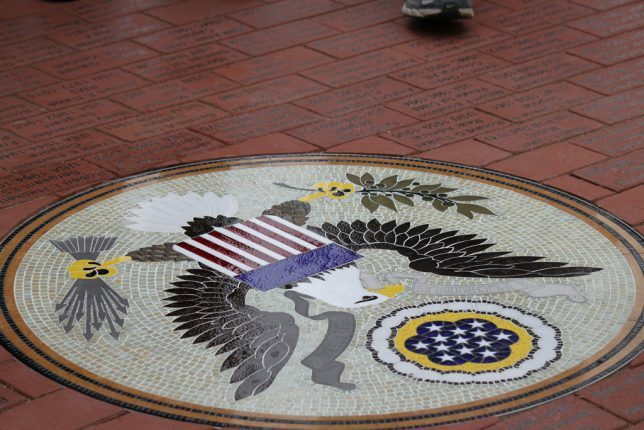 The sunlight spotlights a mosaic of The Great Seal of the United States set into the red-bricked Circle of Honor. Most people have neither seen nor even heard of Soldierstone… and that’s just as the memorial’s creator, the late Stuart Allen Beckley, intended. The retired Army lieutenant colonel and Vietnam veteran sought to pay tribute to the uncredited people who assisted foreign soldiers over many decades of war in Southeast Asia. 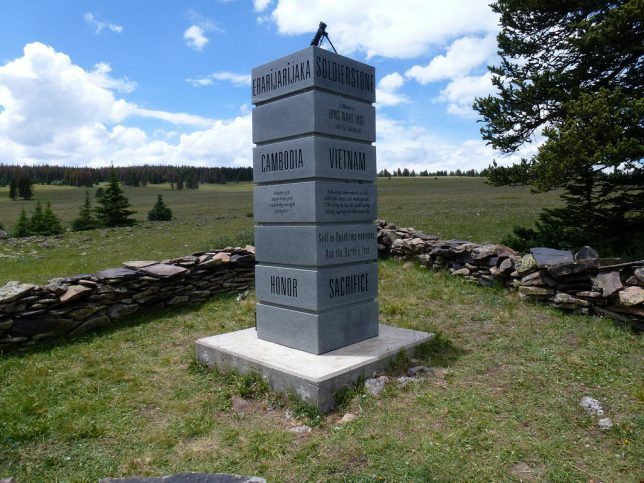 Secreted in a clearing deep in Colorado’s 1.8-million-acre Rio Grande National Forest at 10,000 feet above sea level, Soldierstone‘s central 10-ft-tall monument bears quotes engraved in Vietnamese, Laotian, Cambodian and French – the languages of America’s allies through thirty years of fighting. 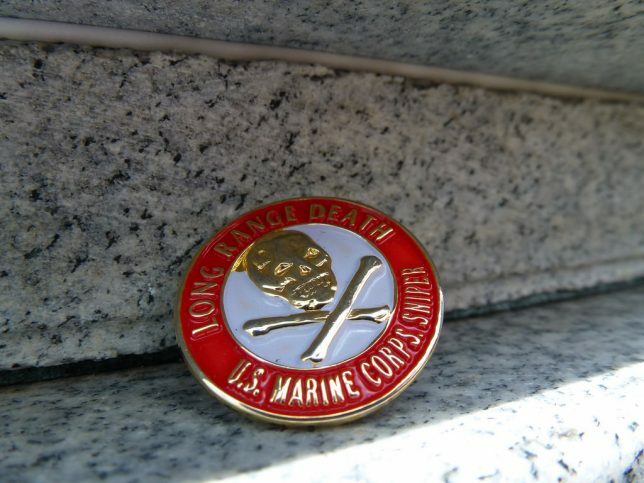 Flickr user MJM1977 visited the memorial on July 24th of 2014. 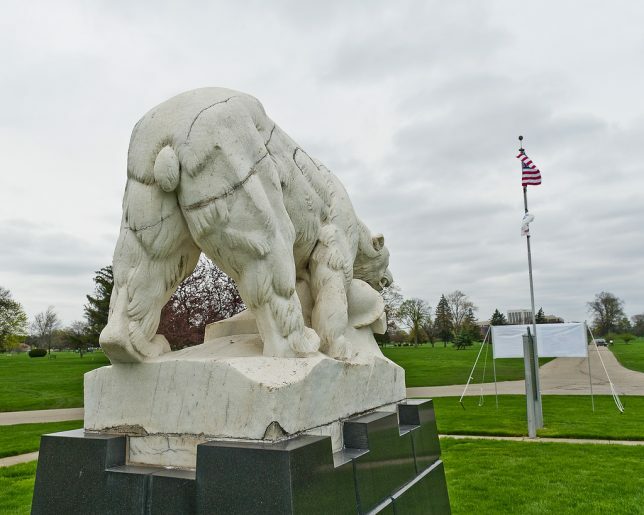 The Polar Bear Monument in Troy, Michigan, commemorates fallen soldiers of the North Russian Expeditionary Forces. 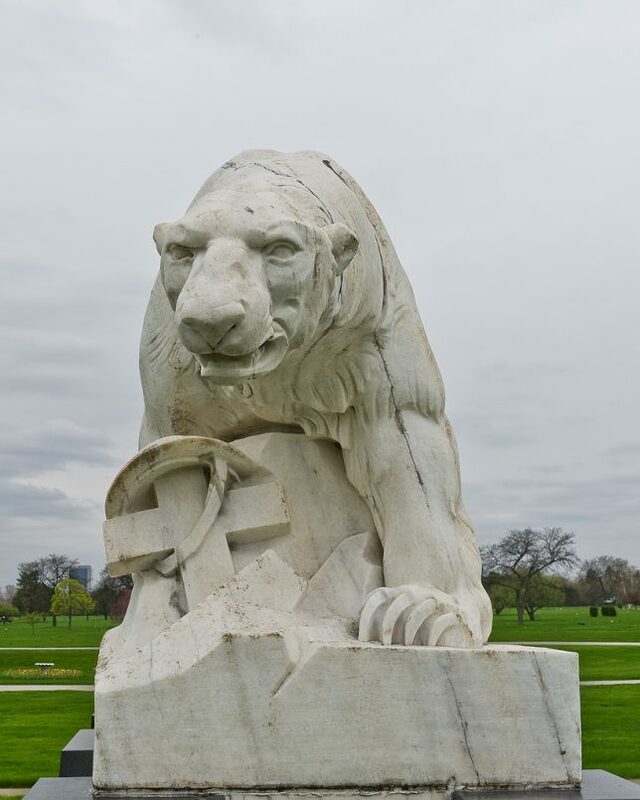 About 75 percent of the 5,500 Americans sent to Archangel, Russia as part of the post-WWI Allied Intervention were from the Detroit area and called themselves the “Polar Bears”. 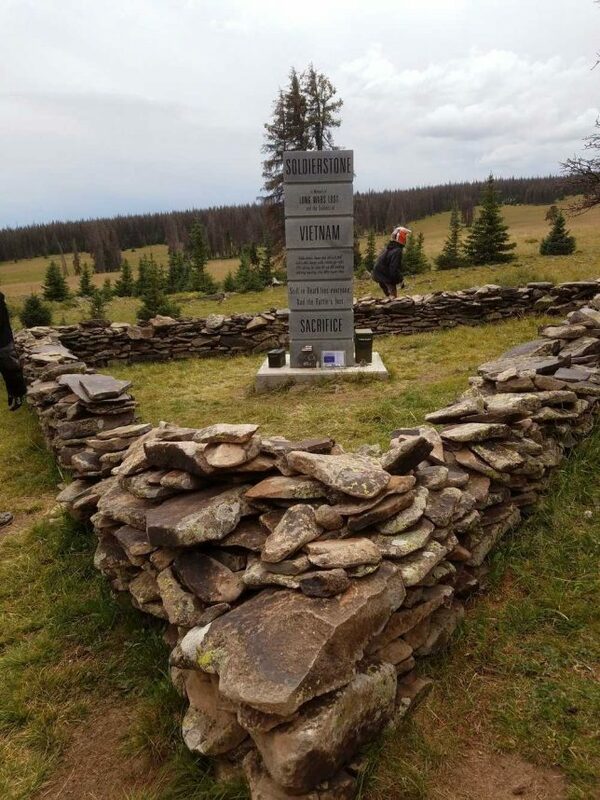 96 soldiers were KIA in Russia and in 1929; the remains of 56 were recovered and subsequently interred on this site on May 30th of 1930. Flickr user Jazz Guy (flickr4jazz) visited the Polar Bear Memorial on May 2nd, 2011.